Hear a panel of physicians and breast health experts discuss and answer questions about breast health guidelines, screenings and treatments. Learn about effective communication with your doctor, health and wellness and the state of breast cancer in San Diego for African American Women. Dr. Suzanne Afflalo, M. D.
Kaiser Family Practice, Retired Dr. Rae Boganey, M.D. Dr. Suzanne Afflalo is a Family Physician, who was born in Kingston, Jamaica WI, worked at Kaiser Permanente for 23 years and retired in 9/2015. 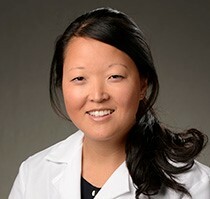 She received her medical degree from George Washington University School of Medicine in Washington DC and completed her Family Medicine Residency at Kaiser Permanente Medical Center in Los Angeles. She has held several leadership positions, including Chief of the Family Medicine Dept, SCPMG Professional Staff President and preceptor and Associate Faculty at UCSD Medical School. She has volunteered in the community for over 20 years and continues to serve as a mentor to middle and high school students interested in the medical field through Kaiser’s Hippocrates Circle Program; Kaiser’s Summer Youth Program and the Delta Foundation Leadership Development Mentor Program. In spring 2014, she designed and implemented “A Healthier Me”, a program developed to decrease the morbidity and mortality of African-Americans with various cardiovascular risks. Dr. Rae Felice Boganey attended the Medical College of Pennsylvania and completed a combined residency in Internal Medicine/Pediatrics at the University Hospitals of Cleveland/Rainbow Babies Hospital, Case Western Reserve University in Ohio. In 2003, Dr Boganey relocated with her family to San Diego and began her clinical work as a General Internist with Kaiser Permanente/SCPMG. In January 2010, she was promoted to Physician Director of Complete Care Management. In addition to her clinical work, she was the consulting physician leading outpatient quality for the more than 500,000 Kaiser Permanente members in San Diego. Most recently Dr Boganey has returned to full-time clinical work, maintaining her practice at the Clairemont Mesa Medical Office Building. She is member of the International Women’s Leadership Association and National Association of Profession Women, who selected her as Woman of the Year in 2013-2014. She was selected as an Everyday Hero for delivery of a baby with her medical office team in their parking lot in 2007. 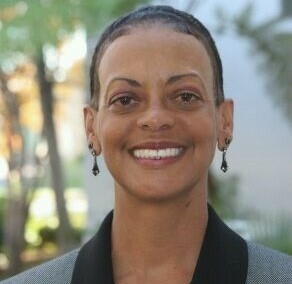 Voted by her patients, Dr Boganey won the Most Compassionate Physician of Kaiser, San Diego in 2005. Trena L. Bennett is President and Founder of GospelCise Fitness & Wellness Ministries Inc. Ms. Trena Louise is an active member of the Mt. Erie Baptist Church, in San Diego, California. She is a Sunday school teacher, youth supervisor, children church servant, chairperson of the youth outreach/retreat ministry, dedicated members of the Sunday school reach out ministry and a devoted Christian woman. All under the ministry and leadership of Dr. Walter G. Wells. She is the Daughter of Alfred Lee and Betty Bennett. Also, she is the Director of the Lopez Ridge Recreation Center for the City of San Diego, where she motivates and encourages people to get fit in both her personal and professional life. As the director of the Lopez Ridge Recreation Center, she worked as the liaison and coordinator for the Park and Recreation Department’s partnership with San Diego State University Child Obesity MOVE/Me Project, which ended May 2010. 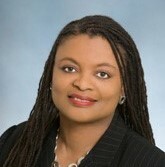 Hematology and Oncology Wilma J. Wooten, M.D., M.P.H. Kristine Lethert, MD is Hematology and Medical Oncology physician at Kaiser Permanente San Diego. She is a graduate of the Medical College of Wisconsin. She completed her Internal Medicine residency, as well as a Chief Medical Resident year at California Pacific Medical Center in San Francisco, California. She then completed her Hematology and Medical Oncology fellowship at Oregon Health Sciences University where her research and clinic focus was breast cancer. Her prior research focus was on barriers to enrollment of breast cancer patients in clinical trials and symptom management from side effects of hormone treatments for breast cancer. She is board certified in Internal Medicine, Hematology, and Medical Oncology. She has been with Kaiser Permanente since 2012. Wilma J. Wooten, M.D., M.P.H. is trained in Family Medicine and has a Master’s degree in Public Health. She received both professional degrees from the University of North Carolina, Chapel Hill, followed by residency training at the Georgetown/Providence Hospital Family Practice Residency Program in Washington, DC. In 1989, she completed Preventive Medicine Residency with emphasis in Sports Medicine in the joint San Diego State University (SDSU), Graduate School of Public Health (GSPH)/University of California San Diego (UCSD) program. After this one year training, Dr. Wooten practiced medicine as a faculty member in the UCSD Department of Family and Preventive Medicine from 1990 to 2001. 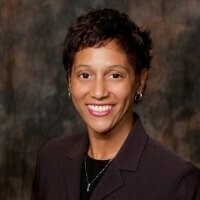 She remains a volunteer Associate Clinical Professor in the department and is an Adjunct Professor at SDSU/GSPH. She has been with the County of San Diego Health and Human Services Agency since 2001, initially as the Deputy Health Officer and now serving as the Public Health Officer since February 2007. In her current role, she has oversight for almost 500 employees and a budget of approximately $100M, serving a county of 3.2 million residents.